Doctor Konstantinos Farsalinos has looked at the only two studies analysing metal content of vapour emission from electronic cigarettes. The two studies have been misrepresented recently and are being used to justify more stringent legislation. The doctor felt that is was prudent to place these studies in context…. Sharing my concerns that the FDA deeming regulation will decimate much of the electronic cigarette industry, Representative Tom Cole of Oklahoma has introduced legislation that would essentially overrule the FDA and statutorily set the “grandfather” date for electronic cigarettes as the effective date of the FDA deeming regulation…. Congressman Tom Cole (R-Okla.) recently introduced H.R. 2058, the “FDA Deeming Authority Clarification Act of 2015.” This legislation would prevent the Food and Drug Administration (FDA) from banning tobacco products (like cigars) and 99 percent of the innovative vapor and electronic cigarette products that have hit the market since 2007. Almost daily there is another “study” showing the harmful effects of vaping. Most of these use bad/no science or they twist the headlines, knowing most people will never read the study. They do have one thing right, there are side effects from vaping….. The $200 million federal anti-smoking campaign “Tips From Former Smokers” — which relies on sometimes gruesome testimonials on the health effects of tobacco — was mostly a flop and did not greatly boost the number of nonsmokers in the U.S.
Aldehydes are emitted by electronic cigarettes due to thermal decomposition of liquid components. 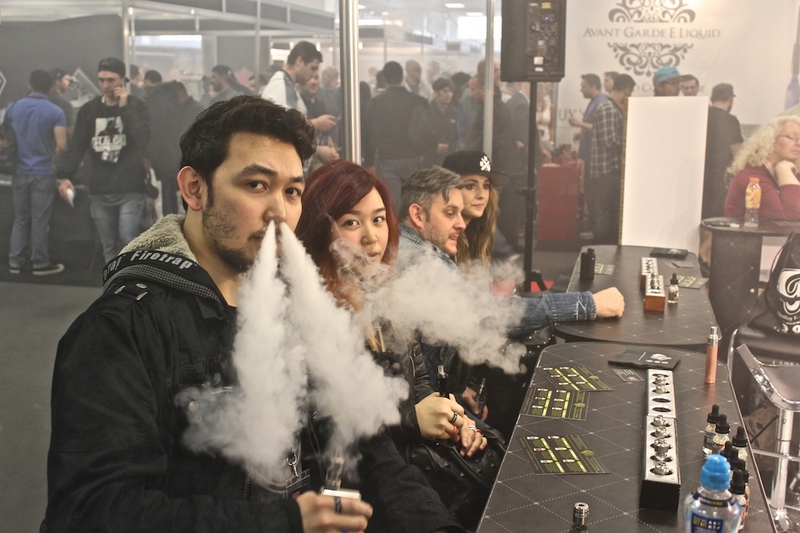 Although elevated levels have been reported with new-generation high-power devices, it is unclear whether they are relevant to true exposure of users (vapers) because overheating produces an unpleasant taste, called a dry puff, which vapers learn to avoid. The aim was to evaluate aldehyde emissions at different power levels associated with normal and dry puff conditions….